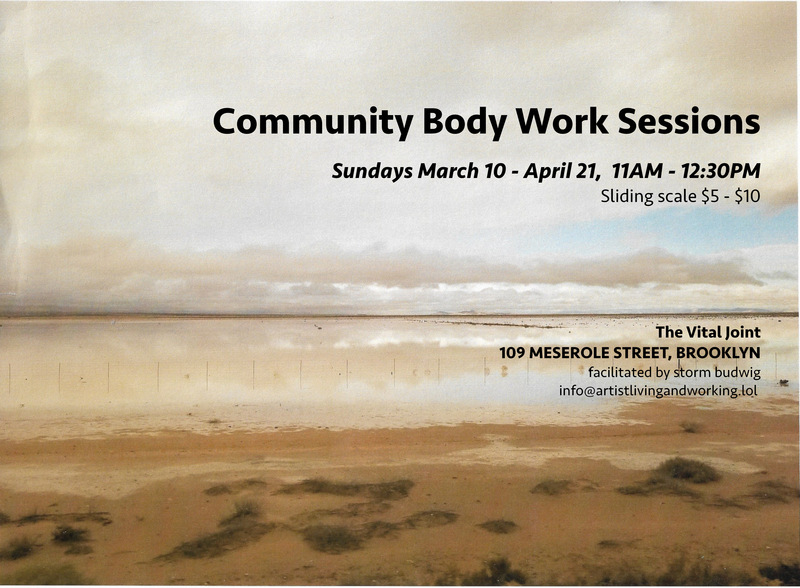 + These Sunday Community Body Work Sessions are open to everyone, with a sliding scale rate of $5 – $10. In each session a partnered body work practice will be introduced, and encouraged, but a modified personal exercise will also be available. Bring a mat if you would like extra support, as we will be lying on the floor. No experience with Somatic / movement practices is required; each session is emergent based on who is in the room. Vital Joint is accessible down one flight of stairs. 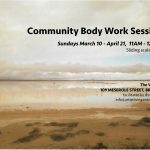 ++ Please contact storm budwig, facilitator of these sessions (and a mover / choreographer / practitioner of Somatic techniques,) at info@artistlivingandworking.lol for more information. On your way to a session, feel free to text 703.772.7415 with questions!